Haile Selassie was born as Ras Tafari Makonnen in Harar in 1891. He belonged to the royal family as he was a cousin to Emperor Menelik II. Therefore, as a young boy, he grew up as a prince. During his early life, he was educated by French missionaries and priests and was a very promising scholar who at a very young age could speak three languages of Amharic (which was and still is, widely spoken in Ethiopia), French and English. At sixteen years, Tafari became a Provincial Governor. When Menelik II died in 1913, his daughter Zaiduti succeeded him and ruled with the help of two regents. Two years later, both the regents died and Ras Tafari was crowned the Emperor of Ethiopia. As Emperor, he was baptised and took a new name. 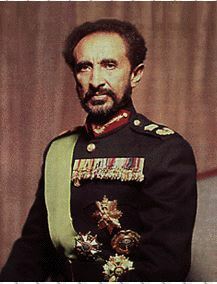 From then on, he became known as Emperor Haile Selassie. Having remained independent from foreign occupation, Ethiopia did not have much foreign influence within the country. His first move when he became Emperor was to introduce a new constitution. He then introduced separate government ministries. He made social reforms by establishing schools and improving the road network. He abolished slave trade and slavery. In 1935, Italians invaded Ethiopia, defeated it and captured Addis Ababa. Haile Selassie was forced to flee into exile to Britain. After the war, and with the help of the British, he set up a base at Khartoum in Sudan. From there he organised his army and attacked Italian troops in Ethiopia. By the middle of 1940, he was back in power and it was easy to defeat Italians since they were generally weak. The British and Americans then helped Selassie to establish himself in Ethiopia and reconstruct the country. In 1950, he established the first Parliament. The ministers however, did not have much say as all the power lay with him. He even acted as Minister for Foreign Affairs until 1966, and was very slow to accept real political changes. Despite his weakness, Haile Selassie was very highly respected in Africa. This is because he successfully ensured that his country survived the scramble, partition and colonisation of Africa. In 1960, there was a plot to overthrow Selassie, and this failed. A similar attempt also failed in 1970. In 1973, the country begun to experience severe drought and famine, it was easy to convince the people of Ethiopia that they needed change. In 1974, Haile Selassie was overthrown. This marked the end of his rule and the end of hereditary emperors in Ethiopia. He was under arrest in his palace until he died in 1975. He put an end to slavery in 1923. He fought for the rights of the African people in the colonies to rule themselves. He did this by supporting leading nationalists like Nkurumah and Kenyatta during the struggle for independence of their countries. He supported the formation of OAU in 1963 and to date; Addis Ababa which is Ethiopia’s capital is its permanent headquarters. He allowed newspapers to be published in the country. These enabled the people to get new ideas about other parts of Africa and the world. They also helped to spread ideas about the struggle for independence in other parts of Africa. He resisted Italian invasion of Ethiopia and ensured that Ethiopia was never put under colonial rule. He introduced a new constitution in Ethiopia. He introduced schools and improved roads in the country. One of Selassie’s dreams was to make Ethiopia a modern state. He therefore appealed to Europe and USA to help him achieve his dream. He travelled to capital cities in Europe to get ideas and how to improve services in his country. He met with Italian Prime Minister Benito Mussolini and other prominent people in Italy to seek help for his country. 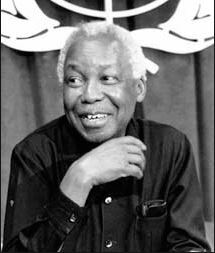 Dr. Julius Kabarage Nyerere was born at Butiama Village on the shores of Lake Victoria. He went to school in Bukoba before joining Makerere college where he trained as a teacher. It is from this that he is often referred to as Mwalimu Nyerere. He then went for further studies in Scotland, United Kingdom and on coming back he taught at a school in Dar es Salaam. He completed his education and in 1953, he joined Tanganyika African Association (TAA). He then became its first President. He transformed the party a great deal to make it cater for the welfare of ordinary people in the country. He changed its name from TAA to TANU which eventually led the country to independence. Zanzibar became independent in 1963, and was still headed by the Sultans. In 1964, there was a political uprising and the Sultans were overthrown. Zanzibar was then declared a republic. In 1964, Nyerere put the Act of Union through parliament which united the mainland Tanganyika with Zanzibar. The two then became one country under one head of state. The united country became known as the United Republic of Tanganyika and Zanzibar, and its first President was Nyerere. This name later changed to Tanzania. During his leadership, Nyerere signed the Arusha Declaration in which the Tanzanian people were given power over their own country. This declaration nationalised most sectors of the economy. This moved Tanzania towards socialism. This system then became known as Ujamaa. Tanzania was declared a one-party state in 1965. Although this was the case, there were two parties that remained in existence. These were The Afro-Shiraz Party (ASP) in Zanzibar, and TANU in the mainland Tanzania. In 1977, the two parties merged to form one party which then became known as the Chama Cha Mapinduzi Party (CCM) which was viewed as revolutionary party with renewed commitment to serve the people of Tanzania. The new party then became the ruling party of Tanzania and Mwalimu Julius Nyerere was re-elected President of Tanzania in the national elections held in 1965, 1970, 1975 and 1980. In 1985, Nyerere declined to stand for re-election and stepped down. Ali Hassan Mwinyi who had been his Vice President was then elected President. During his time as President, he championed the need for national unity and the unity of the three East African states. He fought against illiteracy by introducing Adult Education to be part of the establishment of Ujamaa villages. He introduced free formal education at all levels from primary school to university. He ended racial divisions that had been introduced into Tanganyika during the colonial period. University education was made available through the establishment of the University of Dar es Salaam. He wrote economic and political essays on Ujamaa. He translated into Kiswahili famous plays like The Merchant of Venice and Julius Caesar by William Shakespeare. He campaigned for and supported Kiswahili to become the national language. Today, Kiswahili is not only a national language, but also the main medium of instruction in Tanzanian schools. 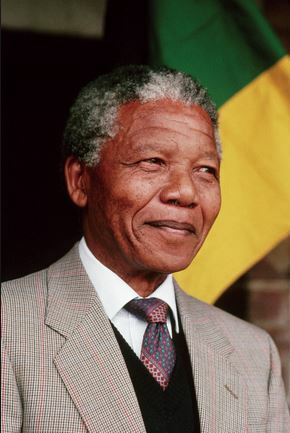 Mandela was born in the Transkei Province of South Africa in 1918. He was a son of the Thembu people of South Africa. He was educated at Fort Hare University College and University of the Witwatersrand where he qualified as a lawyer and soon started private practice. Some years after graduating from college, he became interested in politics. When Luthuli and Sobukwe, the key leaders of African National Congress (ANC) were put in prison, Mandela became the overall in-charge of the party. In 1961, South Africa was declared a Republic. Mandela, under the ANC continued to fight for liberation of the black people in South Africa using the policy of non-violence. Soon his friends realised that this would not take them very far, so they formed an underground movement committed to sabotage and create violence against the oppressive European dominated government. As a leader of the newly formed movement, he made secret trips to Europe and talked with leaders of states of the countries he visited and addressed conferences. His political views caused him a lot of suffering. He was imprisoned for five years for organising a strike, and for leaving the country without having a valid passport. In November 1962, Mandela was brought from prison and tried for treason. He was then sentenced to life imprisonment in June 1964. During the trial, he refused to deny the charges that were brought against him. Instead, he said that he had dedicated his life to the struggle for the African people against oppression by the white minority who had dominated South Africa and that he was ready to die for the same cause. He was then banished to the Robben Island where he was to serve his jail term. He stayed there until 1986 when he was moved to a prison near Cape Town. While in prison, Mandela continued with the struggle through letters and articles in leading local and foreign newspapers. This led to the release of members of ANC who had been put in prison for similar offences and soon it became clear that the role of the freedom fighters could not be ignored for ever. On February 11, 1990, Fredrick De Klerk, who was the newly elected President of South Africa released Nelson Mandela. He also lifted the ban on ANC and other nationalist organisations. Upon his release, he reaffirmed his commitment to the African struggle. When South Africa held its first multi-racial elections in 1994, Mandela’s ANC party won majority seats in parliament and he became the first president of the majority government. Mandela was married to Winnie, a fiery ANC activist throughout the time he was in prison. He however sought divorce from her in 1995 on the grounds of cruelty and unfaithfulness. He served as president for one term of 5 years and retired from active politics in 1999. Mandela died in December 2013. Abdel Nasser was born in Alexandria, Egypt in 1918. He came from a humble background and grew to become one of the most powerful leaders in Egypt. He joined the Egyptian military before entering politics. After the 1948 Arab-Israel war, Arabs lost part of their land to Israel. He decided that if he became ruler of Egypt, he would give his people the dignity they had been denied by the British and the Turks who had previously controlled the country. As a result, he wanted to unite all the Arab countries in order to make them stronger. By 1958, he had untied Egypt with Syria to form the United Arab Republic. In 1952, the king was overthrown and Nasser took over as President. He saw this as a chance he had always waited for and promised to make a lot of changes in Egypt. Plenty of money was needed for this and so he decided to seek aid which only USSR was willing to provide. In 1956, Abdel Nasser nationalised the Suez Canal, making it a national property. As a result, all foreign vessels going through the canal had to pay taxes to Egypt. The Western countries were not happy. They wanted to have free movement through the canal. Britain, France and Israel then attacked Egypt and this made Nasser even more popular among his people. Nasser’s influence was not only felt in Egypt but in other parts of Africa as well. This was because he was one of the African leaders that fought against colonialism. He also wanted to have a country where all people had equal wealth. So he took land from the rich and gave it to the poor. Nasser also helped found the OAU. Nasser died in 1970 of heart attack. He was born in Dakar, Senegal in 1906. He was educated in Senegal before going to Paris for his university education. While there, he became a French citizen and an advisor to the French President. In 1945, he was elected to join the French parliament to represent Senegal. He started the Negritude Movement which fought for the preservation of the African culture and heritage. 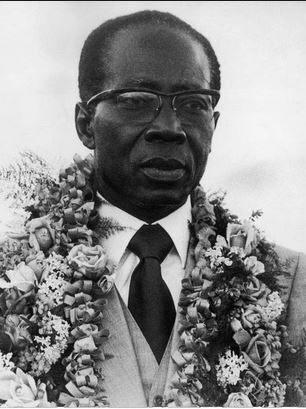 In 1960 he became the first African President of Senegal. He was a founder member of OAU. He was a poet and wrote books on poetry about Africa and won a Nobel Prize for Literature in 1962. He was the first African president to retire from office voluntarily.